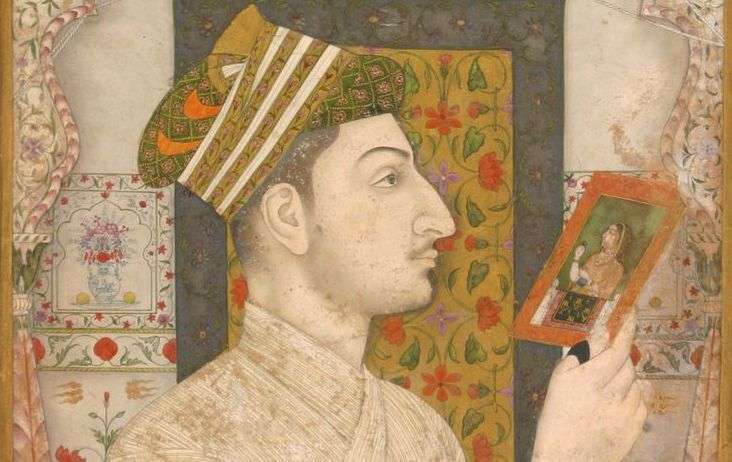 Mughal Emperor Aurangzeb’s Birthday – in Germany! First Visit to an Art Museum? Here’s how to make the most of it! Discover India with 8 Awesome Museums!! This Diamond Necklace commissioned by an Indian Maharaja is the Star of a Hollywood Movie! Ukiyo-e is perhaps Japan’s most loved art forms; Sakura-season being it’s most beautiful. Imagine, if the two came together! With Hiroshi Yoshida’s woodblock prints or Ukiyo-E as they call it, you wouldn’t have to leave much to imagination. When you think of Japan, the first artwork that comes to mind is “The Great Wave”. This world-famous, iconic work by Hokusai used the same technique : Ukiyo-E.
And that brings us to Hiroshi Yoshida’s Cherry Blossoms – because what is life in Japan without the magical blooming season? At the end of the Meiji period in Japan, there was renewed interest in Ukiyo-e. There was a creative prints movement (sosaku hanga) and there was a modern-prints movement (shin hanga); Hiroshi Yoshida was one of the greatest artists of the Shin-Hanga style, especially known for his landscapes. While he travelled to India, and created some wonderful prints of the Golden Temple, Taj Mahal, etc., in this post, we’re particularly focusing on his Sakura-season chase. According the the Japan Guide, you can see many Cherry trees around the Togetsukyo Bridge at the foot of Arashiyama mountains, especially in the riverside Nakanoshima Park (early April). Our best guess is, that this was where Hiroshi Yoshida got his view! But his genius lies not in spotting Cherry Blossoms – but in creating these prints with so many colours! For an artist to make prints, he needed to have foresight and plan the outcome in advance. The Ukiyo-e process involves etching the design made by the artist onto wood. A woodcarver would then carve the design out in negative such that the parts to be coloured, were raised in relief. A separate block for each colour was made, and had to be perfectly aligned. Sometimes, a print-making process could include around 70 steps! Now take this wood-block print for example. How many colours do you see? Ukiyo-e prints have some of the most interesting pigments – reds, blues, purple, and the delicate sakura-pink! These are water-based or made from vegetable dyes, and hence the soft colours. You’d also notice that the colours are flat, with no texture. This is because of the printing process. In this print, take a closer look at the reflection in water. How do you think the artist achieved that? Each print also has blocks of writing which identify the print’s title, series, artist, publisher, and other people involved in its production. Japanese script (kanji) is read from right to left, top to bottom. But Hiroshi Yoshida was different. He never created a block for his signature ‘Yoshida’ . Instead, he autographed every single print. Isn’t that simply awesome? In addition to his signature, a print would also have a custom seal (sometimes in red). This seal was called the jizuri seal (picture above, courtesy The Koller Collection). Jizuri, meaning self-printed. It was almost like the artist stating that “this high quality print was made under his personal supervision”! Special seals for him, were almost always designed and created by friends. Of these 8 prints we’ve shared, on how many can you spot jizuri seals? These seals indicated that the print was an early-edition. Ukiyo-e prints were an instant hit amidst Japan’s rising working class as they were affordable. According the Asian Art Museum, one print cost as much as a bowl of rice! So Yozakura actually means “night cherry blossom” – a time when people go out in the night to see illuminated cherry blossom trees. Those who have seen it, claim that there is nothing more magical! Imagine a night like that and it rains. Doesn’t look like Hiroshi Yoshida’s spirit was dampened at all! Again, in this print, his composition is so breathtaking – with the reflection of the tree merging with the realistic texture of water. Sometimes a woodblock print could easily use 20 blocks – how many do you think this one needed? Did you know, that the size of an Ukiyo-e print could tell you what type of wood had been used? According to the Ronin Gallery, most artists preferred the Cherry Tree’s wood since they lasted longer and allowed for sharper lines. However, this meant, the artist had to be restricted in terms of the size of the block (based on the tree’s diameter). Paper used in Ukiyo-e printing also determined the size. Much like today’s graphic prints, depending on the standard size of the paper available, artists would decide the size of the final print (so as to not waste any paper). If you’d look over the prints again, you’d find all these elements intact. To understand the process of making ukiyo-e, check out this video. It’s a bit long, but worth it. With time, this technique came to India too. In a future post, we will be discussing Indian printmakers! If you were as tempted and blown over by these prints of as we were, share this post and spread the cheer – after all, Cherry Blossoms don’t last forever! Our mails are delivered to your inbox each week! Look out for art, museum-events, resources and other snippets from history & culture. The Heritage Lab is a digital platform connecting museums & citizens through campaigns, public-engagement programs & free access content for youth, families and kids. 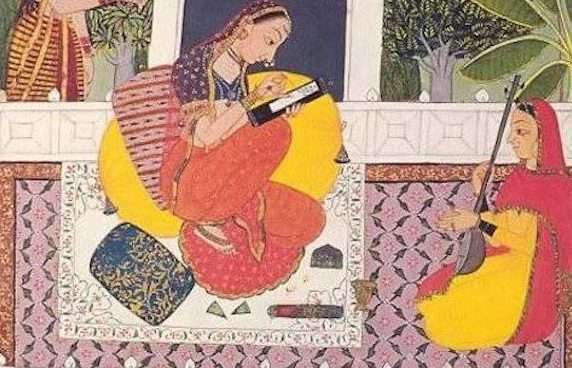 Hamida Banu Begum : Akbar's mother was a collector of books! 10 Museum Advertisements to Inspire You! Subscribe & be a Museum Ninja! Have #FunAtMuseums with our FREE set of 4-printables! KNMA presents the works of five modern masters from Bengal: Ganesh Pyne (1937 -2013), Meera Mukherjee (1928 – 1998), Somnath Hore (1921 -2006), Ganesh Haloi (b.1936) and Jogen Chowdhury (b.
KNMA presents the works of five modern masters from Bengal: Ganesh Pyne (1937 -2013), Meera Mukherjee (1928 – 1998), Somnath Hore (1921 -2006), Ganesh Haloi (b.1936) and Jogen Chowdhury (b. 1939). Coming from various parts of Bengal, their visual vocabularies reach maturity during 1970s and 1980s, with the city of Calcutta emerging as an intersection point. The social and political changes, witnessing and observing major occurrences like the Bengal famine, the Tebhaga movement, the Bangladesh Language Movement, the Vietnam War, and avant-garde mobilization in the creative disciplines of literature, cinema and theatre, has shaped their individual artistic styles and preoccupations. The chronological radius of the exhibition spans more than five decades from 1960s to early 2000s, showcasing more than two hundred artworks from KNMA collection and loans from artists and private collections. As part of the Women’s History Month, we are excited to invite you to Art+Feminism Wikipedia Edit-a-thons taking place worldwide throughout the month of March. Wikipedia is one of the most widely used community platforms to seek and produce knowledge. This campaign seeks to bridge the gender gap on Wikipedia, where women make up less than 10% of them. Further, even in terms of content, only 20% of all biographies on Wikipedia are about women. Art+Feminism seeks to challenge this situation by improving coverage of cis and transgender women, non-binary folks, feminism and the arts on Wikipedia. From coffee shops and community centers to the largest museums and universities in the world, Art+Feminism is a do-it-yourself and do-it-with-others campaign teaching people of all gender identities and expressions to edit Wikipedia. In India, the campaign is in its fourth year. 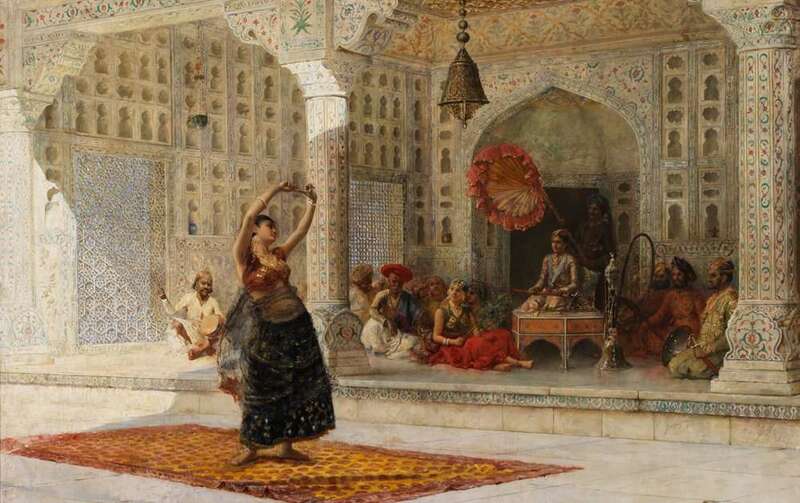 Feminism In India, The Heritage Lab, Art+Feminism and the Danish Cultural Institute India have joined hands to organise a Wikipedia Editathon on April 6 on women in art. In this Edit-a-thon, articles will be created and edited on Indian and Danish women artists which either have no representation on Wikipedia or very less information is available on them. The articles will be created/edited in English and any other language the participant is comfortable in. During 7 days, thousands of cultural institutions around the globe will share with you amazing cultural content every day! Get ready by following your favourite museums on Twitter, Instagram and Facebook. Hamida Banu Begum : Akbar’s mother was a collector of books! The Heritage Lab works with Museums in India to make them more accessible and inclusive for Families and Children. Download our FREE #FunAtMuseums printable! Subscribe to get Museum Pro-Tips; & stay updated with more art in your Inbox!